Cutting-edge technology watchdog Kevin Kelly has done it again. It is no longer silly to think of technology as having a pulse, and the former editor of Wired magazine certainly has his finger on it. In this compelling new view of the many parallels between biological development in humans and humans' development of technology, the interconnectedness of the biosophere and the technium has never been so clear. Supergeeks rejoice, not only for this exciting speculation on what our future holds, but also for the fact that it is narrated by the one and only Paul Boehmer, a terrific Shakespearean actor better known for his role as stranded Vulcan in one of the most beloved eipsodes of Star Trek: Enterprise. Boehmer gives voice to this deep scientific inquiry with energy and precision. 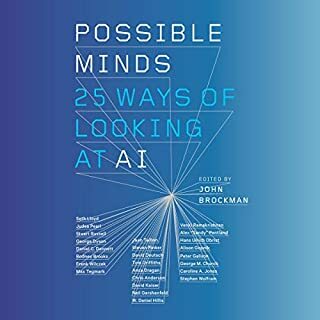 Kelly is keen on researching a breadth of evidences to secure his theory about what technology wants from us, and Boehmer steps lightly through the many lists of supporting examples in a tone that shows just how captivating they are. Did you know that rock ants have a system for calculating the volume of a room, in order determine the appropriate dimensions of the nest they want to build? Did you know that the Amish are in a heated debate over the possible adoption of cell phones? Did you know that a toaster makes decisions? The scope of Kelly's considerations is astounding. This new theory of technology offers three practical lessons: By listening to what technology wants, we can better prepare ourselves and our children for the inevitable technologies to come; by adopting the principles of proaction and engagement, we can steer technologies into their best roles; and by aligning ourselves with the long-term imperatives of this near-living system, we can capture its full gifts. Kevin Kelly's contemplation of meaning, couched in terms of the "Technium" (all technology and its trends), which includes our minds, life itself, and indeed all the cosmos. I like Kelly's description of history and the aforementioned contemplation of existence better than I like his assessment of present technology, or his transition to potential futures and proscriptive ways of living, but there were parts from each perspective I enjoyed and agreed with throughout the book. That said, much of the best elaborated ideas are borrowed from contemporaries (e.g. 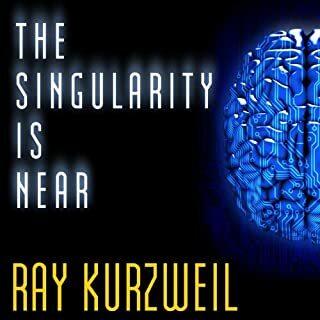 techno-futurist Kurzweil), and what Kelly does try and establish himself is a mixed bag. I found myself alternately nodding vigorously in agreement and then shaking my head disappointedly at vague language, unjustified leaps, occasionally excessive proselytizing. In most cases I wanted Kelly to take the discussion he had built up so well in a different direction, and we diverged more frequently than I had expected to at the outset. 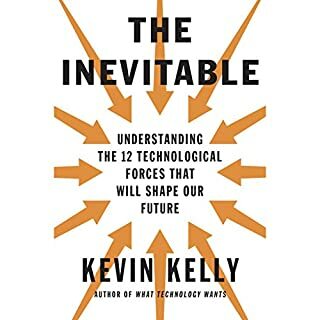 The book feels like it could be stronger in progression and thesis if it maintained a steady philosophical position throughout, but Kelly comes across as trying hard to reconcile his personal ambivalence over how to handle technology. He issues statements that fit nicely into prevailing Western scientific thought, only to act as if it were never said in a later chapter, letting Eastern philosophical wisdom and personal reflection do all the talking instead. My discomfort doesn't stem from his choosing one way of thinking over the other per se, but in his inconsistency. Perhaps over the seven years that Kelly wrote the book he changed his mind and mood back and forth, writing a chapter or two when his views leaned enough one way or the other. I wonder if he's not yet confidently settled on an ideology for himself, let alone the Technium, but if nothing else this informed self-discussion does make for a worthwhile read. In sum, I liked the book... but I wanted to like it more. I was suprised at how many scientific errors Mr. Kelly commits in laying out his thesis for this book. His thesis is solid, but he frequently and unnecessarily distorts scientific theory to support it. He clumsily argues that evolution has direction, citing prominent scientists like Richard Dawkins, despite that Dawkins has long asserted that any perceived destination for evolution results simply from our own narcissistic perspective. Kelly also uses several erroneous cliches about the history of human evolution to support his thesis. By the end of the book, I was disappointed that Kelly so poorly argued such an important thesis. For lack of better editors, this book ends up stuck between popular psychology and scholarly thought. Would you try another book from Kevin Kelly and/or Paul Boehmer? I think the most interesting chapter by far was on Amish hackers, a seemingly contradictory phrase the author invokes to describe some original research he's done interviewing various Amish on how they decide whether to use or reject a particular portion of technology.A disappointing pastiche of New Age ideas layered on regurgitated Jacob Bonowski, Richard Dawkins and James Burke, occasionally invoking flawed logic on pop-science as well. The author enjoys making up new words, such as "technium" for the aggregate of all technology currently in use, as a substitute for actual insight. Ultimately, there really isn't much of a conclusion beyond "think about what technology you decide to embrace". I'd also like to say... that I found the narrator... especially annoying,... speaking slowly... with lengthy pauses between phrases... in a tone that suggests.... an overdose of Valium. Like daddy reading patiently to a small child. I had to crank the playback up to 2x speed just to avoid falling asleep between sentences. is the technium the evolution of evolution? What made the experience of listening to What Technology Wants the most enjoyable? The perspective in this book is very unique. Kelly is able to give a clear indication of what direction we are going. He is honest about the possible pit falls of our obsession with technology but also realistic about all that it has give us and will give us. What other book might you compare What Technology Wants to and why? I was prompted to read this book from Creating a Mind, Abundance and Better Angels. These books cite many of the same sources and draw some of the same conclusions. Paul Boehmer gives a lot to the material by getting out of the way. What did you love best about What Technology Wants? The novel ideas about what may be driving the evolution of humanity. How Kelly's ideas have a root in evolutionary biology. No. At times it was difficult to tell if he is a robot or not. This is appropriate for the content. The last chapter. 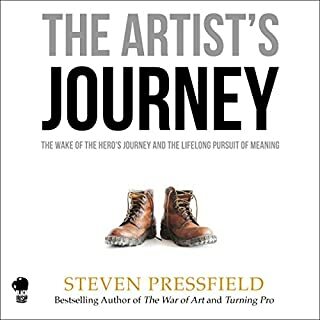 If you listen to nothing else in this book. Get it from the library and read the last chapter. Kevin Kelly's book is a mind-opening look at technology as an extension of the complex, upward-spiral of life and ecology. This book truly broadened my definition of technology and, indeed, life itself. 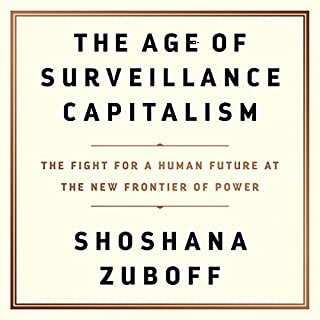 An excellent read; I would highly recommend it to anyone interested in technology but perhaps, even more so, to biologist, ecologist, and system theorists. As a technology professional, I found this book to one of the more important books I had read (Steven Pinker, Malcolm Gladwell, Nassim Taleb). It provides an extrapolation of the speed, the pattern, and the vision of humanity future (albeit not a good one). It was interesting how technology has adapted over the years, decades and centuries, but Kevin Kelly goes on and on where you tend to forget his thesis. It seems like he just wrote this book just to ramble on his thoughts on the subject. If he was defending his thesis in a PHD setting, the thesis would be rejected because it's just too much random ideas with no collaboration on one thought. You really get lost in the read because one minute he is talking about how Microsoft Windows and it's million lines of coding and the next chapter, he is explaining about evolution and cells and trying to tie everything together. Very awkward to understand the complete process. The only redeeming part of the book is about the Amish and technology. This could had been a really good personal commentary, but it was poorly edited and badly executed. I read widely in the areas of technology, innovation, and the social aspects of networking. Kevin Kelly’s “What Technology Wants” took me by surprise. 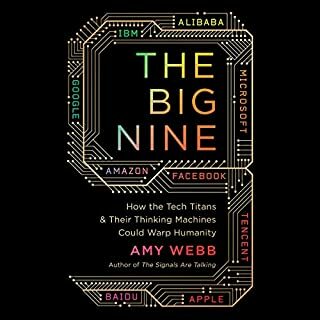 It took me at least into the proverbial “deep end of the pool.” Easy to understand and follow, Kelly approaches technology from the perspective of the “technium”. Technium is the label he attaches to the globalized, interconnected stage of technological development. He approaches technology and innovation, then from this unusual perspective. If I follow, Kelly suggests that technology (technium) is the sum total of man’s progress – the thousands of years of progress. He also broadly defines technology in terms of nonhuman species as well. This is a very thought provoking book with many implications. It is well written though the listener may want to review sections periodically. It is approachable by anyone with a passing interest and nontechnical background. The narration of Paul Boehmer is very good as well. Audible fans may want to couple Kelly’s book with Steven Johnson’s “Where Good Ideas Come From” and Clay Shirky’s “Cognitive Surplus.” Both of those books consider parallel issues. 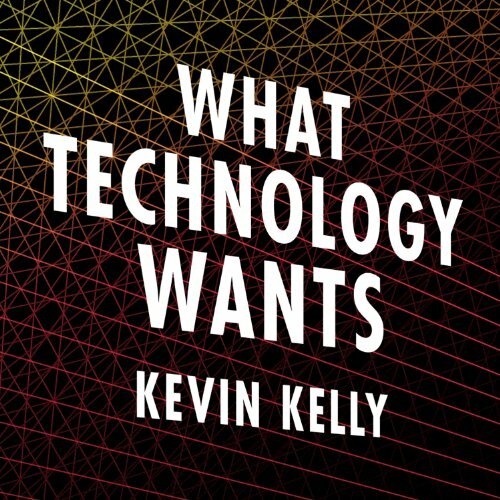 In sum, Kelly has provided Audible listeners a great service with “What Technology Wants.” I look forward to seeing more from him in the future. Interesting book with a lot of food for thought about how technology shapes us, as we in turn shape it. In essence, technology is part of human evolution, and we could no more stop technological process from happening than we could stop the sun from rising tomorrow. As food for thought the book is a good read, but he lays out so many questionable ideas as fact that his overall judgment is necessarily in question. A sign of wisdom, and prudence is when someone can hold strong beliefs on questionable ideas, and not lose sight that despite their own conviction on the matter, it is still a questionable idea to others. This is the only way to avoid confirmation bias and thus turning ourselves into our own worst intellectually enemies. Once we’ve given ourselves over to such biases, we lose the ability to self-monitor our ideas for soundness. In context to the “Golden Rule” of treating others as we would like to be treated, he flatly declares that including non-human species into this realm of “others” is moral progress. This isn’t just up for debate still, but Kelly places himself on the true outer fringes here. The logical conclusion to this line of thought is that killing an animal for food is equal to killing a human for food. Bringing such ideas to the table for discussion is all well and good, but again, he doesn’t present it as something to be considered, but states it as settled fact. So the book itself is interesting, and I don't regret getting it, but Kelly is so sealed up within his own ideas that they all take on a rather surreal aspect, and so it's hard to take as seriously as I'm sure he expects it to be taken.